With winter snows receding quickly, calving season now finds us busily changing gears to monitor both day and night shifts in the maternity pasture. 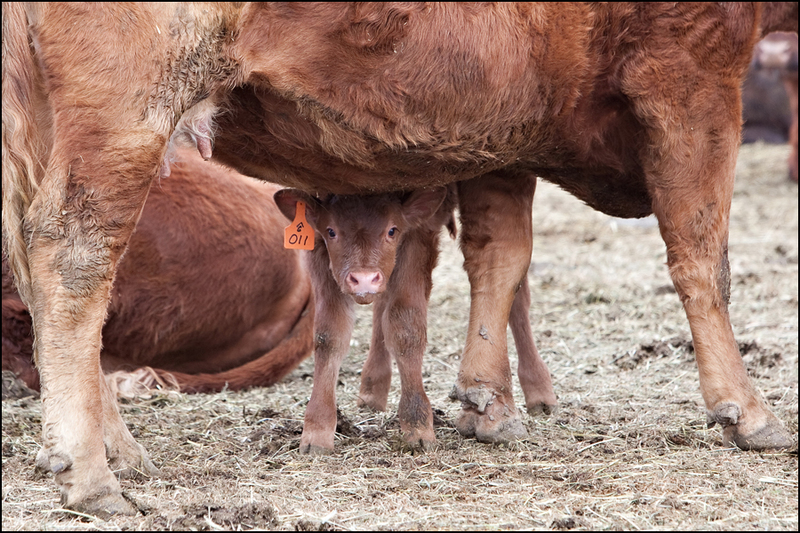 Who can resist the cutest antics of little calves running and playing and then stopping to look at you with their big brown eyes and all of their newborn curiosity! It's the most loved season for the crew but then again, the most demanding. Success is when you finally move to Spring range with all the cows and their little ones following close behind. Suddenly we all breath a sigh of relief that another calving season has come and gone with healthy, happy babies sent off to grow and prosper!